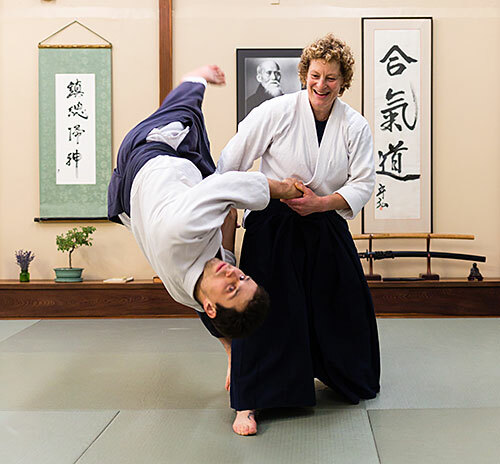 Kayla Feder Sensei began her Aikido training in 1973 at the age of 9 and has trained continuously for 45 years. She studied directly under Morihiro Saito Shihan, 9th dan traveling to Iwama, Japan in 1980. Saito Shihan was an apprentice to the founder, Morihei Ueshiba (O’Sensei). He was one of O’Sensei’s longest training students. In subsequent trips to Japan Feder Sensei trained with a number of other Shihan who trained under the founder. Kayla Feder Sensei’s press kit.